One of the most popular annual products from the United States Mint debuts today, Jan. 10. Available beginning at noon EST is the 2019-W Proof American Silver Eagle. 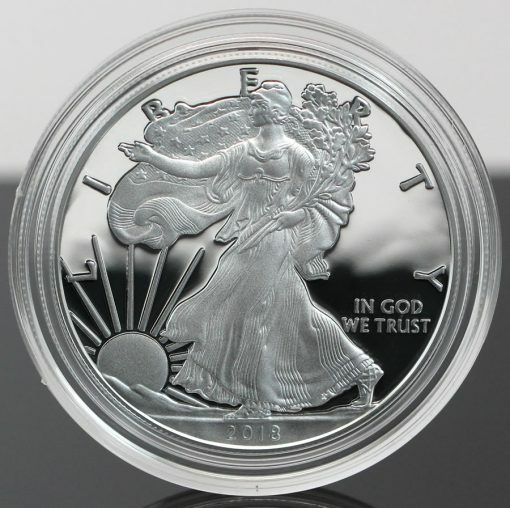 2019-W Proof American Silver Eagles become available on January 10 at noon EST. 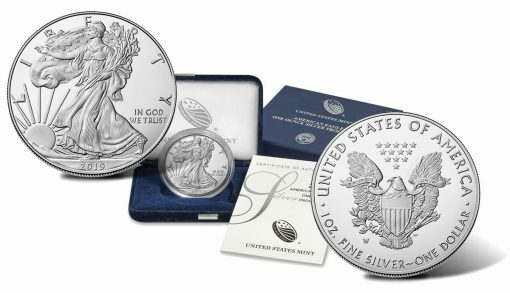 Each coin ships in a blue velvet, satin-lined presentation case and is accompanied by a United States Mint Certificate of Authenticity. Each coin is composed of one troy ounce of .999 fine silver and comes from the U.S. Mint’s West Point facility. No mintage, product or household order limits are in place for this release. The lack of a pre-determined mintage will not affect its initial demand as collector’s have traditionally shown incredible interest in the annual series that dates back to 1986. Hundreds of thousands of them sell each year. In fact, last year’s release tallied up 229,926 sold in just its first day of issue. Appearing on the coin’s obverse (heads side) is Adolph A. Weinman’s depiction of Liberty in full stride. This allegorical figure first appeared on 1916 to 1947 half dollars and has been a favorite of collectors ever since. Liberty is seen wrapped in a flag with her right hand extended and branches of laurel and oak in her left as she walks towards the sun. Inscriptions on the obverse include LIBERTY, IN GOD WE TRUST and 2019 for the year of issue. Reverses (tails side) offer John M. Mercanti’s heraldic eagle with shield design. The eagle holds a banner in its beak which reads E PLURIBUS UNUM. Found in the talons of the bird are an olive branch and arrows. Above we find thirteen stars representative of the original thirteen colonies of the United States. Around the eagle are the inscriptions of UNITED STATES OF AMERICA, specifications of 1 OZ. FINE SILVER and the face value of ONE DOLLAR. In addition, there is a mintmark of ‘W’ indicating its production at the West Point Mint. Pricing is $55.95 per coin. This is the same price point at which last year’s release was issued. 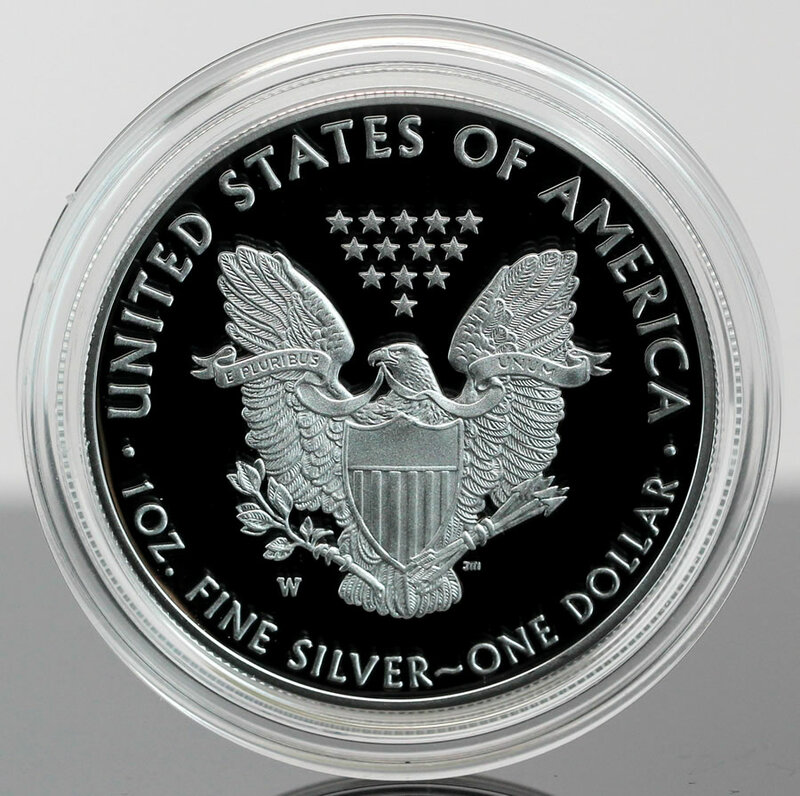 2019-W Proof American Silver Eagles may be ordered directly from the U.S. Mint by visiting this product page or by calling 1-800-USA-MINT (872-6468).